The daughter of the pastor of Sixteenth Street Baptist Church, Barbara Cross was in the church the day it was bombed. In June 1962, my family moved to Birmingham, Alabama. My father was called to pastor the Sixteenth Street Baptist Church. As a 12-year-old, I felt excited from moving from my birthplace, Richmond, Virginia. to a new city and the opportunity to meet new friends and experience life in a new city. Little did I know that the move to Birmingham would literally change our lives forever. My father got involved immediately upon our move with the Alabama Christian Human Rights Movement and was asked by their leadership if Dr. Martin Luther King, Jr., could use the church as a place for civil rights meetings, which I did not realize until many years later. My recollections of Sunday, September 15, 1963, were that it started off as a beautiful Sunday morning. This was the first Sunday that my father had initiated Youth Sunday under his ministry. However, this day would soon be marred by tragedy. After studying the Sunday School lesson in the basement of the church about 10:20 a.m. there was a horrific noise and the building seemed to be shaken off the foundation. I remembered something hit me in my head and I realized it was the light fixture. I began to smell fumes and everything got real dark. I remembered hearing a lot of screams from the children, and church members were running to get out of the building to a place of safety. Frantically, I tried to search for my younger sister Lynn, age 4, only to learn later that she was among the many injured taken to the hospital. Little did I realize that we were victims of a racist terrorist attack and that my four friends were just several feet away from my Sunday School class, dead in the bathroom. Our family received bomb threats at our home, because of my father’s involvement with the movement. After all these years, I still cry, and I will never forget the horrors of that day. I will always remember that four innocent girls lost their lives in a place of worship. Barbara Cross has previously written of her Birmingham experiences in a story “My Soul is a Witness,” appearing in the book Sisters on the Journey, edited by Rev. 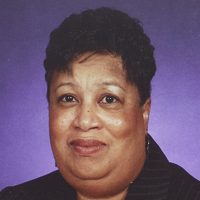 Dr. Regina Anderson and published by Sisters on the Journey, Inc., Atlanta, GA, in 2009. Ms. Cross wrote this story expressly for Kids in Birmingham 1963, in May 2013.